Consumer trends with regards to the music industry are changing drastically over the last decade or so. The music market itself has overcome the fall that came with the digital downloads. And people are moving towards the online music streaming services. Online music streaming is seeing growth. Such streaming services are now responsible for almost three-quarters of all revenue in the music industry. Well-known players in the field are Spotify and Apple Music. At the same time, users also keep an eye on Pandora. Spotify is aggressively trying to move into a Pandora’s niche in the music streaming services industry. The company is introducing an app ‘Stations.’ The new app has very similar features to Pandora. ‘Stations’ allows users the option to make their playlists. Additionally, it generates personalized playlists once enough data is available about the user’s choice. ‘Stations’ is piloted in Australia. However, it is still in the internal test phase only. It currently has limited Android support. The new app is likely to hit the market only after further tuning. However, it suggests that Spotify is looking to move directly into Pandora’s 5 million-strong user base. Once ‘Stations’ comes out in full feature, it may gain popularity not just in Australia but all over the world. To stay safe while online streaming, it is better to use a VPN. For music streaming services, all you really need is an application and a stable internet connection. However, this may make your device vulnerable to external threats. Especially if you are using a public Wi-Fi network. Using Le VPN’s VPN service will ensure 100% online security. 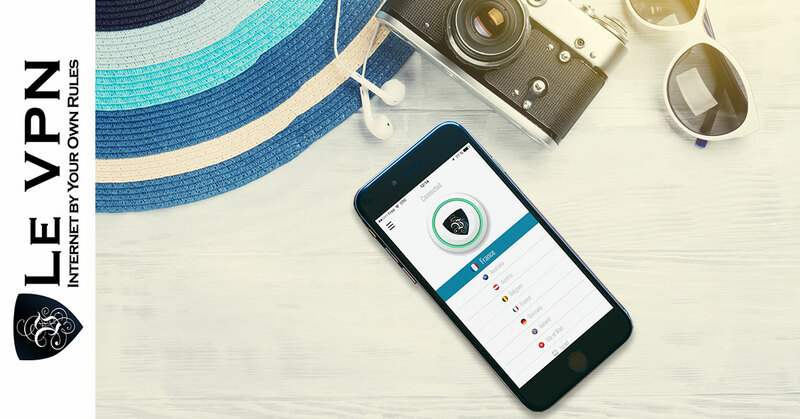 Le VPN offers you great security and keeps your device safe from hackers. Connecting your device to a secure network is important. Hence use Le VPN. Moreover, you can pick the best VPN apps from Le VPN, depending on your needs. Le VPN offers VPN apps for your Android, Windows, and iOS handsets. Now, you can enjoy music on the go, without worrying about the online security. Our VPN service is also extremely useful to maintain anonymity over the web. You can access web pages and unblock music streaming websites in the blocked region. For example, you can use Le VPN’s France IP address, and unblock French websites from anywhere. Certain apps and websites are not accessible in certain countries, where using a VPN helps to free the user of these territorial setbacks. The growth of online music streaming services platforms is fascinating. It offers internet users a quick and easy way to enjoy loads of music without having to think of storage restrictions. Subscriber models are working well with streaming apps, and the revenue generated is expected to grow year on year. Users can stay safe using VPNs and listen to their favorite tracks from any corner of the world. So, subscribe to Le VPN and enjoy seamless entertainment on the go.